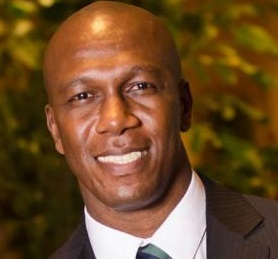 NEW YORK (December 1, 2015) – Iraq and Afghanistan Veterans of America (IAVA), the largest nonprofit, nonpartisan organization representing post-9/11 veterans and their families, this week announced that Wayne Robinson will join the IAVA team effective immediately as the Senior Strategy Fellow in its executive leadership team. Robinson is responsible for propelling the organization’s impact and growth of IAVA’s education and veteran employment efforts, which looks to equip new veterans with skills, knowledge and resources to become leaders in the civilian workforce. Wayne Robinson served in the U.S. Army for over 20 years, rising to the rank of Command Sergeant Major. Robinson started his career in artillery and was twice a member of 1st Special Forces Operational Detachment Delta (Delta Force) where he served as Operations Sergeant. After completing his bachelor’s degree while on active duty, he later enrolled in New York University to prepare for an MBA. He earned his MBA from the University of Chicago Booth School of Business, becoming the first senior enlisted (E-9) to do so. Upon graduation he headed to Wall Street where he joined a hedge fund and rose to lead the New Business Development division. After seeing veterans struggle in the education and employment realm of transition he accepted a position as President and CEO of Student Veterans of America. During his tenure the organization made major infrastructure investments, revenue doubled, and chapters increased by forty-five percent. Robinson has served as a board member for Chicago Jesuit Academy and currently serves on the Committee on Education appointed by the Secretary of Veterans Affairs. He holds Series 7 and 66 licenses and Blackbelt Six Sigma certification.